Take a good look at your toiletries kit and determine if you really need everything that you are taking. If you travel a lot, it’s all too easy to use a dedicated bag just for travel and not do any editing between trips. Do you really need the three shampoo bottles you snagged from your recent hotel stay? Or that extra facial moisturizer? Or four razors instead of one? Do a thorough cleanout of your kit each time you go. It’s less weight for the plane to carry. By carrying your travel kit on-board, rather than automatically checking it, you are going green in more ways than one. First, you will only take TSA-compliant travel-size bottles, which automatically whittles down weight. Second, you are less likely to carry as much aboard when you have to carry it yourself. Third, you can have personal items with you that will keep you from using onboard items instead. By taking a few items with you, you can substantially reduce your use of toss-away items provided by the airlines. For instance, take a water bottle or mug and ask the attendant to use that instead of plastic cups. An oversized scarf/wrap can double as a blanket. By the same token, bring your own headphones, cloth napkin, cotton handkerchief, snacks in reusable containers, and DIY hand sanitizer (see below). Over the course of several trips, you can substantially reduce your carbon footprint by declining airline cups, napkins, anti-bacterial soap, and so forth. The same goes for when you are at your destination hotel. Antibacterial soap has been getting a bad name, not only because it isn’t proven to be any more effective than soap and water, but also because of the toxins it releases into the environment. Unfortunately, antibacterial soaps are rampant in airlines, airports, restaurants, and hotels. You can help stem the use by creating and carrying your own hand sanitizer. Just mix 3 ounces of aloe gel with a few drops of rubbing alcohol and tea tree oil, and you are good to go. For a longer trip, take two or three travel-size bottles! 6. Get rid of the wipes! Wet wipes are one of the biggest ongoing threats to the environment. Because they are made from plastic fiber and aren’t biodegradable, they are clogging plumbing pipes and sewage systems, and flooding oceans and beaches the world over. Whether you are using wipes for your own personal toilet use, your child or baby, or to sanitize surfaces, now is the time to dump them from your travel bag. 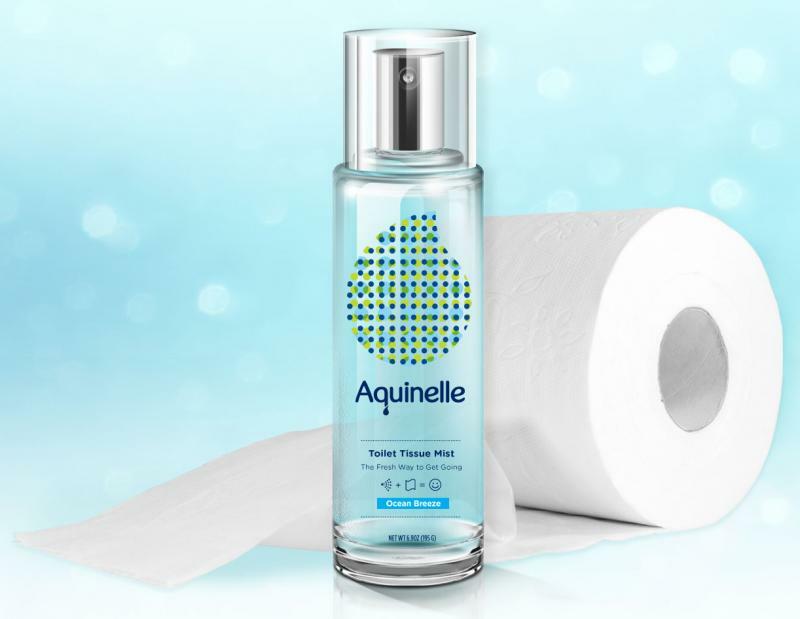 For a moist toilet paper alternative to wipes, bring along a travel-size version of Aquinelle Toilet Tissue Mist (you choose the scent from Grapefruit to Coco Beach and many more). The mists are dermatologist-tested, kid-safe, and the most hygienic and pleasant way to wipe your behind! Enjoy your journey, knowing that you’ve made the world a little better. Check out the fragrant and planet-friendly Aquinelle products here.